The Go-Ahead Group is one of the UK’s leading providers of passenger transport services, comprising of 11 bus companies and 5 rail franchises. It employs around 23,000 people across the country, with over one billion passenger journeys taken each year. Eshcon helped the Go-Ahead Group achieve the Carbon Trust Standard. Go-Ahead first certified to the Carbon Trust Standard (CTS) in 2010, to help with positioning on the Carbon Reduction Commitment CRC league table and to raise its profile of good carbon management. Because of the size of the group, number of companies involved and the complexity of the data, Go-Ahead opted for an Assisted Certification of the CTS. ESHCon provided additional support in preparing the submission, as well as conducting the assessment. Conducting the CTS assessment according to the evaluation criteria. In 2012 Go-Ahead’s achieved a second successful certification to the CTS, showing reductions in relative emissions (compared to passenger numbers) of 4.6%. Achieving the CTS gives many benefits: it helps Go-Ahead prove their climate change credentials, embedding carbon management into their numerous companies. It helps build their reputation, reduce risk and engage staff and customers.  Eshcon helped by making the whole process smoother, identifying the data and documentation needed and how to present the information well to ensure a successful application. The project flowed well, to ensure deadlines were met. Key questions on CTS rules were answered relating to emissions exclusions and the growth of the Group (acquisitions and divestments).